in keeping the natural settings and elements in its pristine forms. Tourism industry is still opening up cautiously, reinforcing our belief that we should leave nature on its own. To a larger degree and to make a most of it, we can live with it in harmony yet we can make sustainable development at fair pace, this is what we learnt in over last 40 years. After having said that Travel and Tourism cross cut multiple sectors by taking into its fold various aspects like transportation, hotel, construction etc that can closely contribute in leaving carbon footprint on ecological balance that has been shaping our unusual climatic conditions lately in general.In February, 2012, The Association of Bhutanese Tour Operator (ABTO) launched a low carbon tourism project for sustainable tourism to minimise greenhouse gas emissions into biosphere. 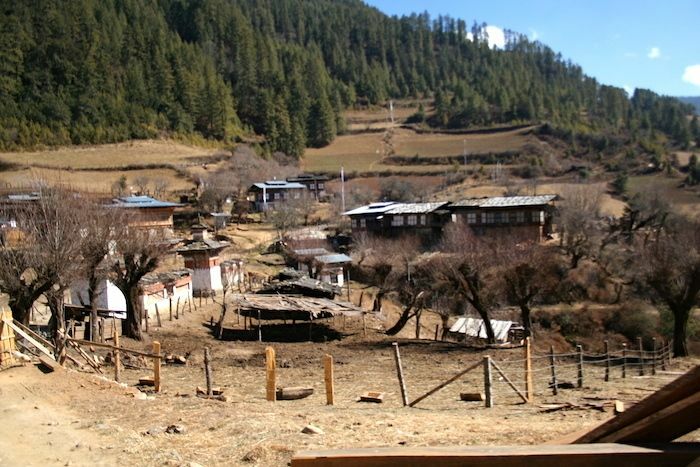 The project contributes to the government’s commitment to remain carbon neutral and is in line with Bhutan’s national strategy for green growth. Taking it seriously, Wind Horse Tours and Travel, as a Corporate Environmental Responsibility, beside other non- profit initiative like cleanliness drive in adopted Luntenagsha trails and other various sustainable community development projects through trekking programme etc, launched a Horse Riding product in 2013, that implement scalable action plans that support low carbon tourism development. Adding a sense of diversity in the product that we offer and also provide a sense of satisfaction more so as it align with low carbon footprints concept as well as national and global policy at large. 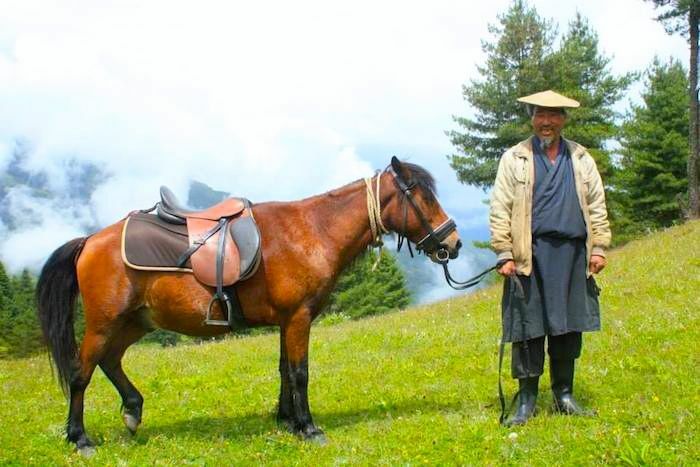 When this Horse Riding product was featured in larger platform like ITB Berlin, Germany last year by Tourism Council of Bhutan as the newest low carbon product, it was received well by one and all providing us with motivational impetus further up. 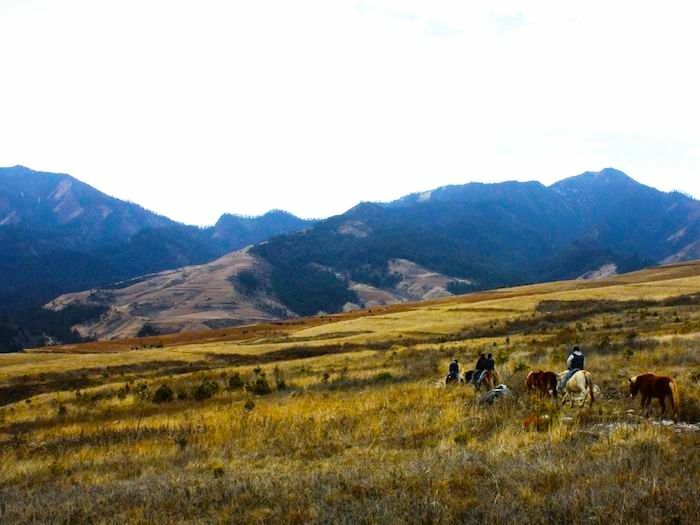 The ranch is located in 10 luscious acres of land leased from local community. We have a large outdoor riding arena and viewing booth for the parents and clients to watch their children or friends ride while sipping tea. 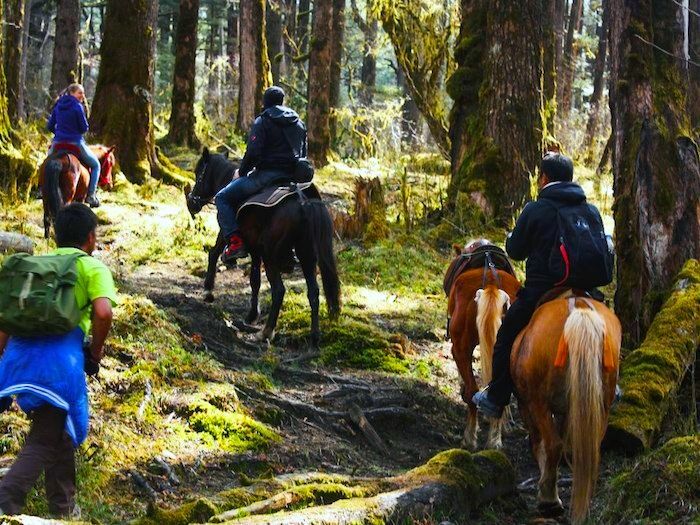 The arena is overlooking the beautiful mountains and is perfectly located to access all of our wonderful trails. 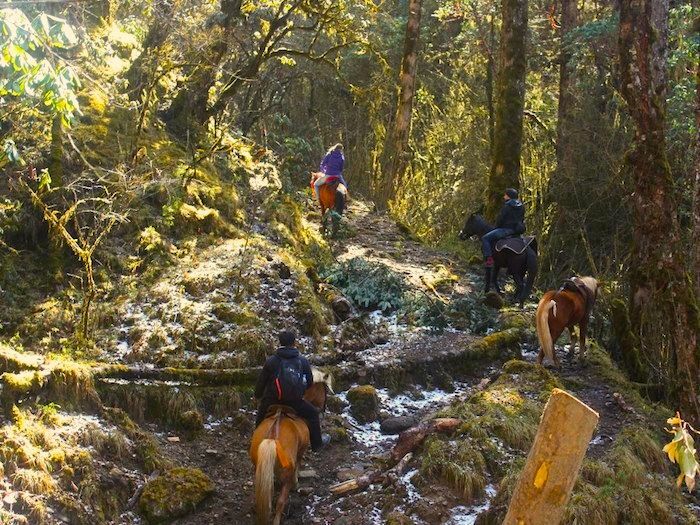 On our riding trails you will find unlimited doses of scenic beauty and splendour as you cross rivers, bridges, ridges and ride through villages and meadows. 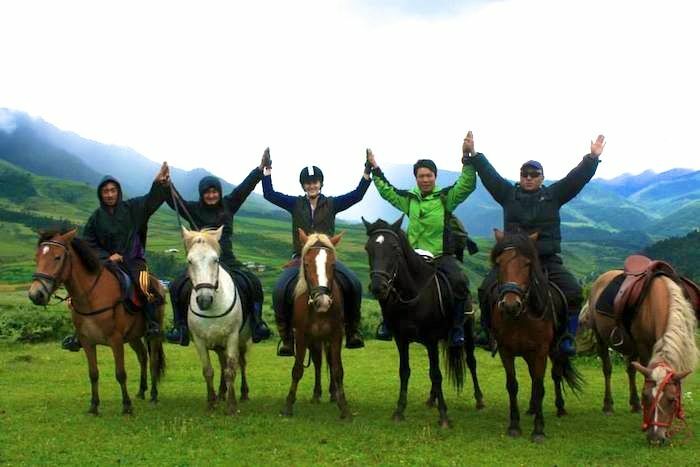 Horse Riding products offers a broad portfolio of low carbon tourism activities. Low Carbon Tourism products & services (Tourism Value chain measures Carbon foot prints. Inclusive Tourism activities with community ( Example; using local resources and employing local people in more than a way contributing in socio-economy development in sustainable way. Low Carbon Tourism Practise. ( Example; Organic food, energy efficient equipments waste management.